As reported by Bloomberg, billionaire Wall Street investor George Soros has found a way to make a good return on low-level, low-risk personal injury lawsuits. Unfortunately, what Soros is doing isn't likely to be something that attorneys will be able to get in on, but there could be some benefits down the road. Soros Fund Management has backed Mighty Group, which works at the level directly above the small litigation finance operations advancing money to plaintiffs in personal injury actions. Mighty Group bundles up all those advances to sell to investors, and what may seem baffling to many lawyers, investors are actually buying. When we're not talking about getting tens or hundreds of thousands of dollars to finance the litigation of a big case (think Thiel, Hogan, and Gawker), litigation funding gets used by individual plaintiffs to scrape by. 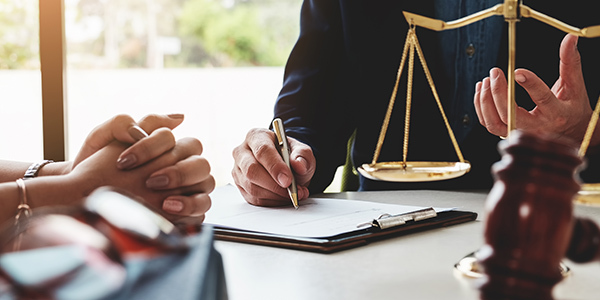 The injury plaintiffs that obtain financing often have injury cases with clear-cut liability, and the financing is used to help pay bills, or for necessities, such as rent, to help the plaintiff get by until a settlement or verdict is reached. Frequently, the advances are only a couple grand. The litigation finance companies that offer these advances to injury plaintiffs do quite a bit of due diligence before doling out any money, and generally charge believably high interest rates, particularly given the promise that a plaintiff that doesn't recover won't owe anything. Because the level of due diligence in litigation financing is so high, the likelihood that an injury case that gets approved doesn't settle is rather low. Also, the actual amount of money on the line tends to be rather small, and the potential reward to the financer rather large. When these loans, or advances, are bundled together, investors can use these types of investments, which are not linked to the major markets, to diversify portfolios. In the litigation finance world, it is not uncommon to see funding companies getting more than 100% returns, and depending on the monthly interest rate, 200% returns can be realized depending on how long it takes to resolve a case. And while rules may be coming down to regulate the litigation finance industry, investors on Wall Street, like Soros, are looking to get in before the back-end of this market gets regulated out of profitability.